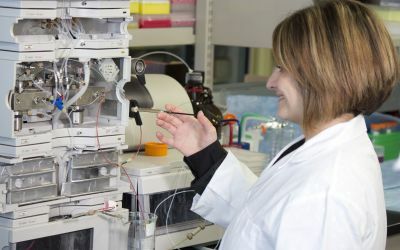 Genome Prairie is a non-profit organization that supports stakeholders across Manitoba and Saskatchewan in capturing and maximizing the benefits of advanced research in genomics and related biosciences.? This role is achieved by aligning the partners and resources needed to develop and manage targeted projects addressing regional priorities. ?Genome Prairie also enables participation among regional researchers in Genome Canada’s competitive granting process for large-scale projects.? The field of genomics and related biosciences is highly competitive and requires significant levels of expertise, and access to capacity and resources.? It takes knowledge, relationships and motivation to turn ideas into reality through discovery and innovation.? 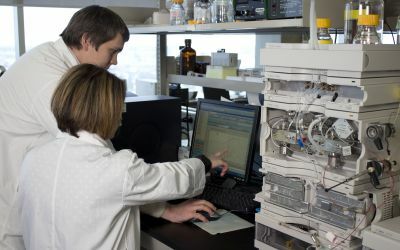 Genome Prairie’s targeted efforts in project development, research management and community engagement ensure that the Prairie provinces maintain and enhance their reputation as a location of choice for innovation and commercialization. White and blue flax flowers in one of TUFGEN's test fields. 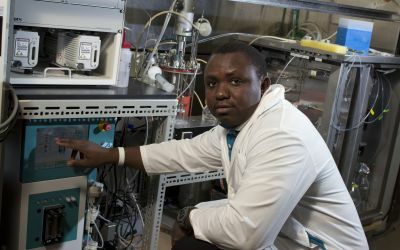 Valery Bisong, a PhD student at the University of Manitoba in front of a biofermentor as part of the MGCB2 project. Members of the TUFGEN project team touring the test field. Prairie Gold team members working in the Agrisoma laboratory at NRC Saskatoon. 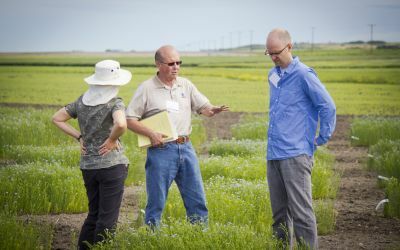 Dr. Kevin Falk (AAFC) inspecting test plants as part of the Prairie Gold project. Marine Grogoryan, a Post Doctoral Fellow working on the High Performance Liquid Chromatography equipment as part of the MGCB2 team. TUFGEN project leaders Dr. Rowland and Dr. Cloutier discussing the project with another team member. 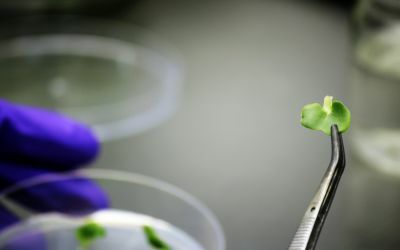 A Prairie Gold researcher inoculating B. carinata cotyledons for tissue culture. A white-flowered B. carinata plant - part of the Prairie Gold project. 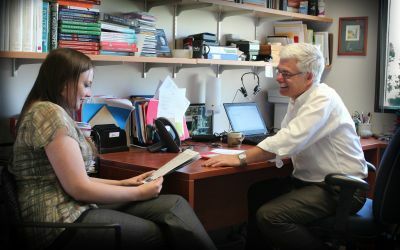 Dr. Peter Phillips discussing the VALGEN project with a student. Wheat samples as part of the CTAG Project. A MGCB2 project Post Doctoral Fellow, Dmitry Shamshurin, using a fluorescence imaging station. Members of the MAVEN project team preparing to take a core sample. Two MCGB2 Post Doctoral Fellows' working on the High Performance Liquid Chromatography equipment at the University of Manitoba. 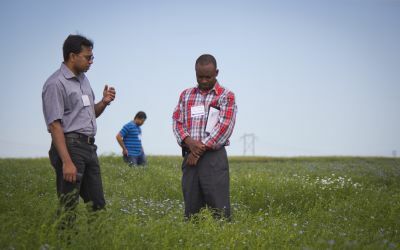 Genome Prairie engages with regional researchers and industry partners to identify and explore new project opportunities. 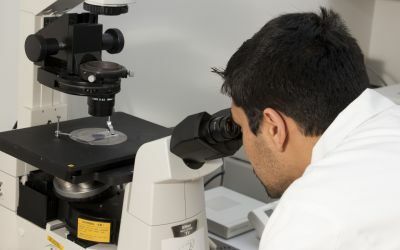 We develop national and international collaborations that attract investment into the regional innovation system, helping to build research capacity. We encourage Manitoba and Saskatchewan researchers or industry consortia to contact us with project ideas. Maximizing the impacts of research and development. Connecting with stakeholders to generate new opportunities. Increasing public awareness of research priorities? 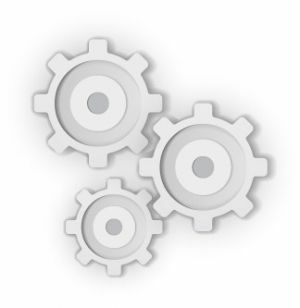 Building networks of expertise and resources? Providing regional leadership in bioscience R&D?